Our approach to medicine is to treat you as we, or how we would wish our family, to be treated; namely, in a timely, responsive, and informed manner along with attentiveness and compassion. 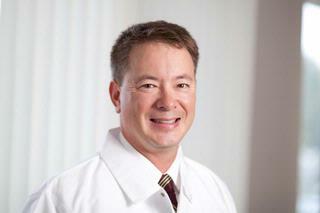 Dr. Richard King founded Lakeshore Surgical Practice, P.C. in partnership with the former Lakeside Memorial Hospital in Brockport, New York where he lives with his family. He initially started practice at Strong Memorial Hospital as one of their burn, trauma, and acute care surgeons and continues to practice this specialty as a Clinical Assistant Professor of Surgery at SUNY Upstate Medical University in Syracuse. After the closure of Lakeside in 2013 Dr. King continued his community surgery practice in the Brockport area at Strong West and also holds a faculty appointment as a Clinical Assistant Professor of Surgery at the University of Rochester. Dr. King's practice philosophy is to offer you and your family personalized care that is unhurried and helps you to make informed decisions about surgical options. Lakeshore Surgical Practice, P.C. is located in Western New York, between Buffalo and Syracuse near Unity Hospital. Nakamura,RM; King,R; Kimball,EH; Oye,RK; Helgerson,SD. "Excess Infant Mortality in an American Indian Population, 1940-1990". Journal of American Medical Association. 1991; 266(16): 2244-2248.